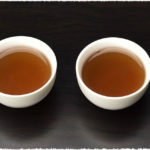 Teavivre releases the another two kinds of flower tea which is made by hand with the top grade silver needle green tea and the natural flower. Teavivre carefully selected the two kinds of flower tea from many flower teas then brewed and taste them. Flower tea is made by hand with the silver needle green tea and the natural flower which is dried. 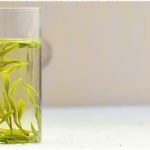 The liquor of the flower tea is light green with a little yellow, clean and bright. The taste is fresh, mellow and sweet aftertaste. The bottom of flower tea leaf is green. 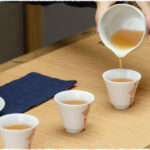 When brewed, it has the fragrance of tea and the sweet smell of flower. It is really a sumptuous spectacle for your eyeballs! Rising Steadily Flower Tea: Made of Silver Needle Green Tea, Globe Amaranth and Jasmine. It has a fragrant, sweet taste, lingering flower scent mixed with tea flavor. When brewed, it unveils higher and higher in the water. Marigold Blossom Flower Tea: Made of Silver Needle Green Tea and Marigold. It has a fragrant, sweet taste. It has unique appearance, splendid infusion view.